Happy Birthday, Prince William! We've watched Prince William, heir to the throne and husband of Kate Middleton (which are, of course, equally important positions) grow from a little boy, to a handsome college student, to a man preparing for his role of King. Now as he performs royal engagements with Kate Middleton at his side, all eyes are on the future King and Queen of England. In no particular order, let's celebrate this big birthday with 30 facts about the Prince. 1. 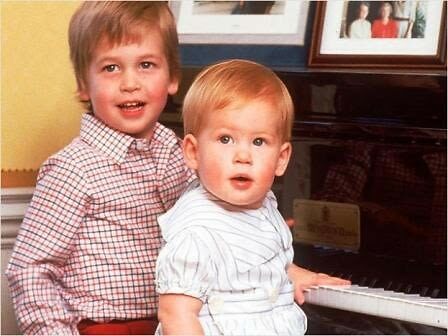 Prince William was born on June 21, 1982 to Prince Charles and Princess Diana. 2. Prince William's full name is William Arthur Philip Louis Windsor of Wales. 3. William is the 2nd in line of succession, behind his father, Prince Charles, to the 16 sovereign states that make up the Commonwealth. 4. 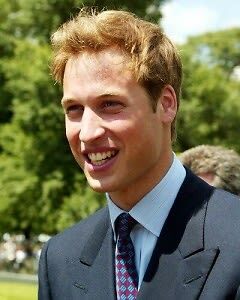 Prince William also holds the titles Duke of Cambridge, Earl of Strathearn, and Baron Carrickfergus. 5. 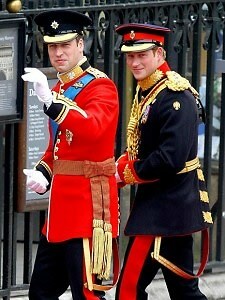 In college, Prince William went by the very un-royal nickname "P. Willy." 6. When he was 15, Prince William was named #1 in the annual International Best-Dressed Poll. According to People, Prince William was "praised for inspiring "a fresh, younger classicism among Savile Row tailors." 7. Prince William doesn't wear a wedding ring. 8. In 2002, pop Queen Britney Spears claimed that Prince William stood her up. She told a British TV host, "We exchanged emails for a little bit, and he was supposed to come and see me somewhere, but it didn't work out." 9. Rumor has it that Prince William cannot fly on the same plane as his father, because if the plane crashes it would kill both heirs to the throne. 10. In 2012, Prince William and Kate Middleton adopted a dog named Lupo. Lupo has accompanied the couple on multiple royal engagements and charity events, and is often seen running around without a leash. 11. In addition to a traditional wedding cake, Prince William requested that his childhood chef bake his favorite chocolate cake for the special day. 13. As a student at Eton College Prince William was the only one given a private room. He lived in a dorm called Manor House. 14. When Prince William turned 21, the Royal Mail issued 20 million stamps with his picture on them. 15. 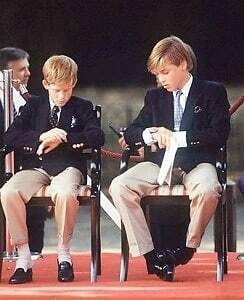 At Prince William's wedding to Kate Middleton last April, Sir Stephen Lamport, the Receiver General at Westminster Abbey, was given the official job of calming the Prince's nerves. 16. All passengers aboard Virgin Atlantic flights on the day of Will and Kate's wedding were treated to an in-flight wedding party, which included wedding cake and tea. 17. William graduated from St. Andrews University in Scotland in 2005 with a degree in Geography. 18. William met Kate at St. Andrews, and the two lived together in a house with other friends before they started dating. 19. 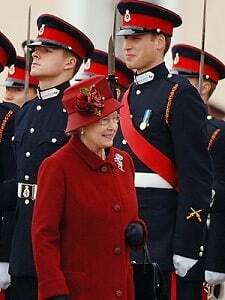 In September of 2010, Prince William graduated from the Royal Military Academy as a search and rescue pilot with the Royal Air Force. 20. Will and Kate dated for 10 years before they got married, and they only broke up once, in 2007. 21. 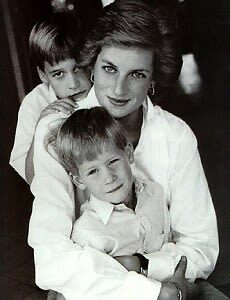 According to People, Prince William wanted to be a policeman when he was young so he could protect his mother, Princess Diana. When Prince Harry heard of his older brother's idea he said: "Oh, no you can't [be a policeman], you've got to be King!" 22. Royal expert Kate Nicholl claims that Kate can "drink Will under the table." 23. Will and Kate currently live in Anglesey, Wales, where Will is stationed as a search and rescue pilot. 24. Prince William drinks beer and red wine, while Kate usually sticks to white wine and sparkling water. 25. Kate is behind the planning of Will's big 30th birthday party, and though details are scarce, Kate's sister Pippa, a professional party planner, is sure to help out and make sure the night is a success. 26. Earlier this year, Kate posed for a portrait with artist Nicky Philipps (who has painted other members of the royal family), and it's rumored that the portrait will be one of the gift she presents to William for his birthday today. 27. When William completes his work as a search and rescue pilot, he and Kate will move to Kensington Palace in London, where Prince Harry also has an apartment. 28. Will and Kate will play a large role at this summer's London Olympics, and their duties will range from hosting events to serving as "Olympic ambassadors" for the royal family. 29. 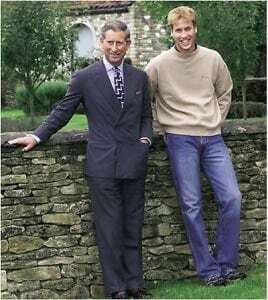 For his 15th birthday, Prince Charles gave Prince William access to a bank account with $500 in it. 30. For his 30th birthday, Prince William will inherit $15.5 million.